With grateful thanks to everyone who has supported. You are giving us the chance to make our dreams become reality. We are now into year 3 of the fund. Please accept my apologies for the delay in writing the annual report. Nothing happens quickly in Ethiopia and I have been waiting to see where all our young people will be this year. In year 2 the equivalent of £4,476 has been distributed to the students. The official University results for semester 2 are not given out until the students return to University. I am still waiting to be sent the results for 5 students, which will mean additional bonus payments of approximately £50. We made the decision to take on no new students this year as we still had the 16 students from last year. This is the last year of support for Getenet and Tarko. Desta may also finish this year. This will mean we can probably take on new people to support next year. We will issue application forms at the end of January. The Lalibelan committee will screen and check the validity of the applications and select the most deserving 10. These applications will be sent to the Scottish committee who match the applications with the bank balance and choose those to support. There will be positive discrimination towards young girls who show the potential to benefit from education. The number we can support is directly related to the money in the bank. I am delighted with the performance of the young people. They have been taking full advantage of our support. 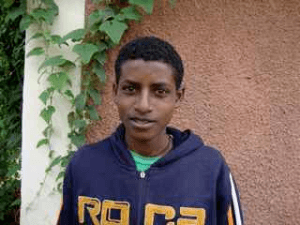 Yonas was home during the summer and was fêted by the whole of his village. His achievement is something they perhaps don’t fully understand, but they are so proud of him. We nearly didn’t give Destaw support and he has turned out to be such a lovely young man. He is just so grateful for our support. The bank balance is looking healthy thanks to everyone’s generosity. I hope that everyone has received a personal thank you. If not, please accept my apologies and my thanks. A special mention must go to Hamilton Bridge Club. They have ownership of the fund, as they were responsible for the first money that set it up. They continue this support every year. A special thank you must go to Joan and Jack who donated the £760 they received in wedding presents to the fund. This money alone keeps 2 young people in the education system for a year. In August we held a meeting in Lalibela for all the students we support. 13 of the 16 were able to attend. They asked if they could form an association in order to keep in touch with each other. Fiker agreed to coordinate this association. Realistically, as the students are now all over Ethiopia, they will only be able to meet together every summer. Tefera, Habtamu and Mamo from Lalibela and June, Margaret and Maureen from Scotland. All your time and effort is much appreciated. I am the lucky one as I get to meet the young people and I receive all the thanks from them. These thanks are due to all of you who have given support and I would like to pass them on to you. If you have not yet visited Lalibela, I hope that you will soon have time to come and receive in person the thanks you are due. 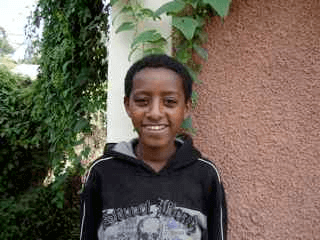 Mebratu is studying Biology in the Kombolcha campus of Wollo University. He has completed first year with a mark of 2.98 out of a possible 4. He was home for 2 months in the summer, but has now returned to Kombulcha to start his second year studies. It has been agreed to continue his monthly payment of 600 Birr with 2 performance related bonuses, paying up to 400 Birr each. 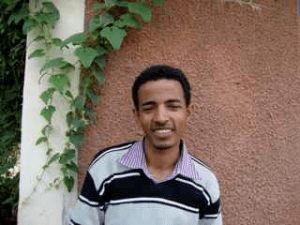 Desta is studying Social Sciences and Humanities at Debre Birhan University. She scored 3.17 out of a possible 4 in her second year and is now promoted to year 3. Her biggest expenses are for photocopying materials as books are not readily available and for travelling. She could not do this without our support. It has been agreed to continue her monthly payment of 600 Birr with 2 performance related bonuses, paying up to 400 Birr each. Yonas is from a small village outside Lalibela. Many children in the village still don’t access education. Yonas, against all odds, is now studying medicine at Gondar University. He has just completed second year and has scored an amazing 3.7 out of a possible 4. He is now in his third year and his dream is becoming a reality, thanks to our support. He has found it difficult to manage this year on 600 Birr per month and both committees have agreed to make him an exception and up his monthly payment to 900 Birr. 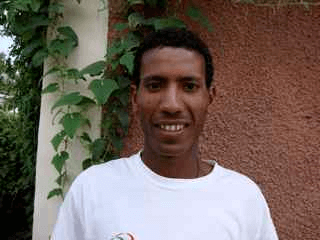 He will also receive two performance related bonuses of a possible 400 Birr each. Eyerus is one of our success stories! 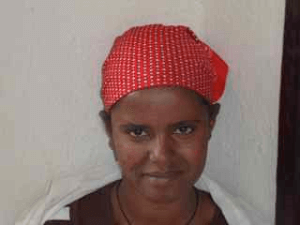 The money we have given her has let her concentrate on her studies instead of working as a servant. 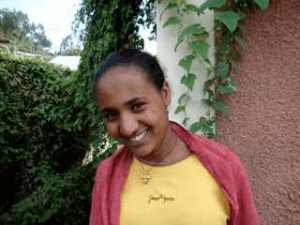 She has successfully completed her grade 12 studies and has just left Lalibela to study engineering at Axum University. She is a very quiet, shy girl and I have never seen such a big smile as she had the day she came to tell me her news. It has been agreed to give her a monthly payment of 600 Birr with 2 performance related bonuses, paying up to 400 Birr each. Destaw is doing a B.Sc. in Civil Engineering at Addis Ababa University. He was one of the ‘extras’ we added to the fund last year and he has paid us back by scoring 3.67 out of a possible 4 for his first year of study. He has now been promoted to second year. He is from a very poor family that is unable to give him much support. Our support of him is letting his family keep a younger brother in grade 11 at school. He describes our help as the ‘backbone’ of his education. He says he has a lack of words to express just how grateful he is! Getenet is studying Tour Guiding in the local Vocational school. He has completed his second year with a mark of 3.8 out of a possible 4. It has been agreed to continue his support of 500 Birr per month for a third year with 2 performance related bonuses, paying up to 250 Birr each. This will be Getenet’s last year at college. 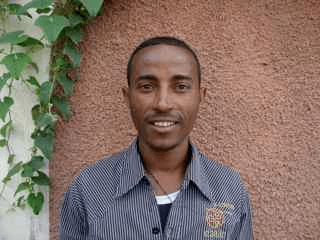 As Lalibela is a tourist town, there is a good chance that he will find employment next year. Unfortunately, Baye was not successful in gaining a place in grade 11. 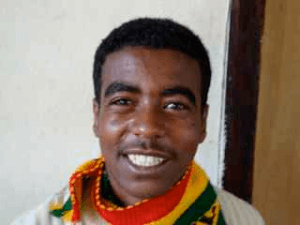 He has joined the vocational school and is studying to become an electrician. Getanu is studying textiles at the local vocational school. He has completed his first year with a mark of 30 out of a possible 32. Second year has started but, at the present time, there is no lecturer for textiles at the college. The director of the college is giving the students access to the room in order that they can practice. Hopefully, there will be a lecturer soon. Getanu lives in Asheten, a mountain overlooking Lalibela. He has used some of his money to buy eucalyptus trees for the compound of his house. This will attract more rain. He has also bought, and is looking after, 2 sheep. It has been agreed to continue his support of 500 Birr per month for a second year with 2 performance related bonuses, paying up to 250 Birr each. 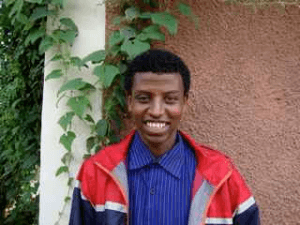 Fiker is studying engineering at Addis Ababa University. He has completed his first year and has scored 2.63 out of a possible 4. He has now been promoted to second year. 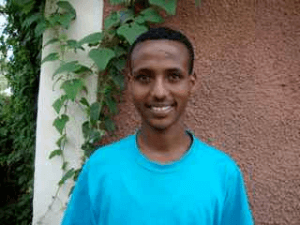 Wubetu is studying Tourism at the local vocational school. He has just completed his first year and scored 3.8 out of a possible 4. As his parents are both dead, our money lets him help to support his family in addition to letting him attend college. 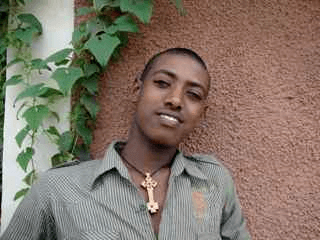 Sefi is studying Mathematics at Jijiga University. In her second year she scored 2.5 out of a possible 4. She has now been promoted to third year. As Jijiga is so far away from Lalibela, (1,330 Km.) her biggest expense is for travelling. 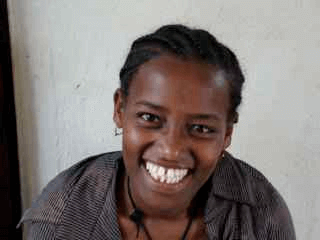 It costs her 850 Birr each way to come home to Lalibela. She didn’t get home last summer, but managed to save up for this year and was home in the summer to visit her friends and family. 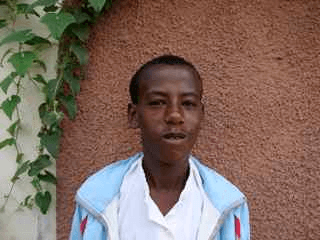 Tarko is now in his third year at the local vocational school. He is studying furniture making. He scored 3.7 out of a possible 4 in his second year. This will be his last year at college and, in the future, he would like to set up his own business. He has asked me to pass on his warmest thanks to everyone who has supported and given him this chance for the future. The support he has been given has let him fulfil the basic necessities and let him concentrate on his studies. Muluye is studying Business and Economics at Hawassa University. He has scored 3.08 out of a possible 4 for his first year and has now been promoted to second year. Abebe has now successfully completed grade 12 and has been allocated a place at Gonder University to study engineering. The start date has not been announced yet, but he hopes to be leaving soon. 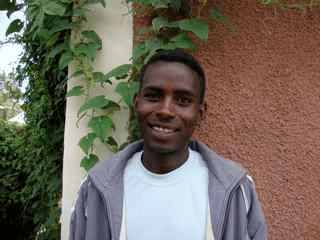 Our support throughout the year has meant he has rented a house in Lalibela and not walked the 11 Km. each way every day. 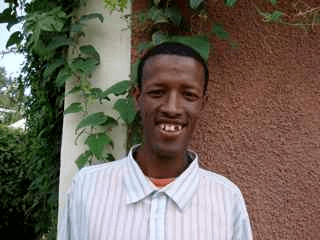 In addition, his younger brother and sister have stayed in Lalibela with him and not had to walk. It has been agreed to give him a monthly payment of 600 Birr with 2 performance related bonuses, paying up to 400 Birr each.